Are you a mom blogger ready to have a baby? Need some time saving tips for your new mom blog? Oh yeah, I’m here to help ya! Even though I’ve been blogging for a while when my twins were toddlers and are now in school, I know many mom bloggers blogging away and are pregnant! 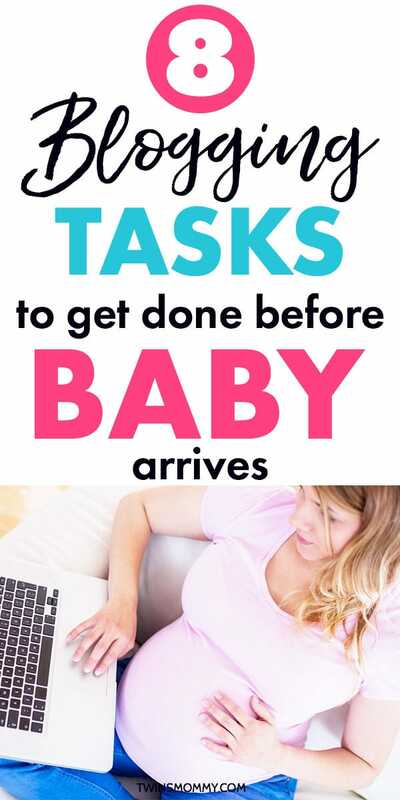 Time management is something you need when your new baby will be born. How do other bloggers manage their time with a new baby and another child or toddler running around? But, before that happens, you want to be ready BEFORE baby comes. That’s probably the best way to manage your blog and newborn (because you don’t want to neglect your blog as this is a great way to make money while you stay home with your child). What blogging tasks should you prepare or automate and set up during your third trimester? I have eight blogging tasks for time saving tips for busy moms in your last trimester. Mama, have you started your email list yet? If you haven’t yet, that’s okay. Instead of writing your emails in advance, start your list and you can create a freebie (I’ll share my tips later on that!). But, if you have a list, you don’t want to neglect sending weekly or bi-weekly emails in the first few weeks or months your baby is born. What you can do is create several emails and schedule them to send out every week or whenever your schedule is while you’re taking care of your newborn. 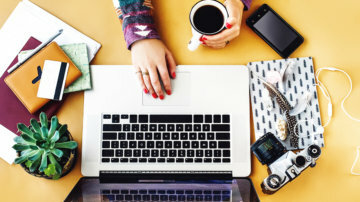 But, there is so much to do before baby comes – not only with your blog but also at home and with your family – that creating unique and original emails can take too long. Instead, I’ve got a content hack for you: use content you already have! I do this regularly since I have several email lists for my different blogs. Coming up with original content for two or three emails every week is hard for me. So, instead, I just “borrow” what I’ve already created. Repurpose an older post – copy over your older blog post and update it in your email to make it relevant. 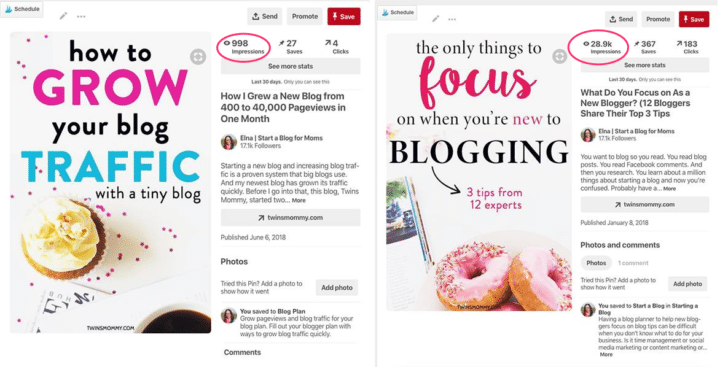 For example, if you use an older blog post about some Pinterest tips, you can update it to the current strategies bloggers are using for Pinterest. If you do this, your email won’t link to the original content. In this case, you can change it up to promote your products or affiliates. Take a snippet – what I often do is share a partial blog post and then link to the full blog post. 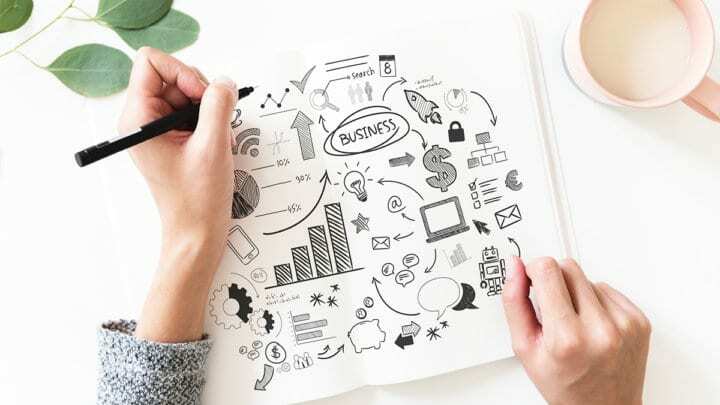 For example, if I use a list post of 8 ways to make money on your blog, in the email I’ll share three ways and then link to the full post if my subscribers want to know all the ideas. Consolidate several blog posts – you can also use several blog posts as one email. Take a subheading from one blog post and a few tips from another and make an email out of that. I don’t typically do this as this is more time consuming, but it’s the best way to create a new angle on a topic. After you create each email, schedule your email for after the birth date of your baby. I suggest pre-writing at least two months worth of emails as you still want to be present in your business and not make everything so automated. This will help you save time as a new mom! Have you set up your Pinterest profile for this year? Lately, Pinterest has been changing a lot of tactics for pinners, and the biggest takeaway is that Pinterest relies on keywords. Now, why should you focus on this during your third trimester? Because for many bloggers, Pinterest is their #1 referral for blog traffic. And since you won’t be online every day when you have your baby, you want your profile to do all the work for you. If you have a strong and authoritative Pinterest profile, Pinterest will know exactly what your niche is about and what your pins are about. This makes it easier for them to distribute your pins all over Pinterest. This will make it easier to grow your blog traffic once baby is born. Look – Pinterest is loving fresh new content on their platform. This means brand new pins. This doesn’t mean brand new blog posts though! Which is a good thing for a busy mom blogger that’s pregnant! So, during the last trimester, spend some time creating new pins for old blog posts and popular posts. You can create one new pin a day until baby is born or take one day each week to create new pins for all your blog posts and landing pages. 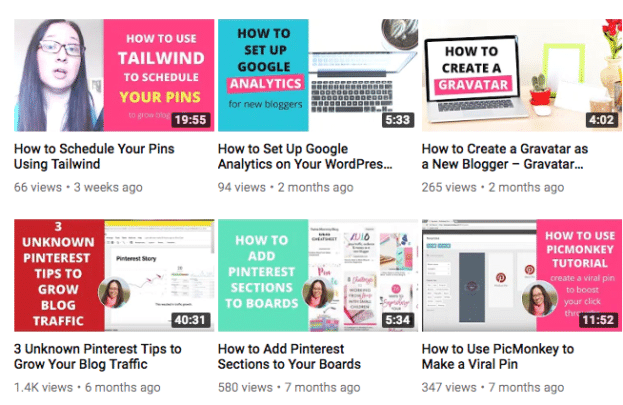 I’ve recently started creating new pins since Pinterest is prioritizing fresh pins and it’s helping me with blog traffic and growing my Pinterest monthly views. By creating new pins, I can do A/B testing to see which pins take off and which ones need more help. How do you bulk your Pins? You can hide your pins in the blog post or post them on your blog at the end of your post. If you do this during your last trimester, you’ll gain traffic when you are away (especially if you do the next tip). You’ll see the biggest impact with blog traffic, email subscribers, and sales if you schedule your pins using Tailwind. Tailwind makes it easy to schedule your pins using board lists or interval pinning. I do both, but lately, I’ve been using interval pinning. Pinterest likes pinners that are consistent on their platform. This means pinning consistently. It’s not all about how much you pin or what you pin, it’s just that you pin every day. And you can set up all of that using Tailwind. Here’s the biggest time saving tip for mom bloggers – use video and streamline your content. The easiest way to start using video is by doing Facebook Lives. What’s great for pregnant moms in the last trimester is that video is more casual and doesn’t have to be so professional. This is how you can build trust with your audience and show authenticity as a real person! You can definitely have tools to do video marketing, but for this time being, what’s important here is creating quick content that can be dripped out when you have your baby. What’s even better – use content from an old blog post. Turn a blog post into a Facebook Live! The idea is already generated; you just present it via video instead of as a blog post. Work on doing a Live once a week. This will give you 6-8 Lives as fresh new content to market your blog, affiliates, and products. Okay – here’s another big time saving hack: repurposing. After each Facebook Live, find time to summarize your Live for a new blog post. But, wait! What if you used an old blog post for that Live? Embed the video in the old blog post and update your post. I would not embed the Facebook Live. Instead, I would create a YouTube video and embed that video. Create a new angle for a blog post and embed your Facebook Live. 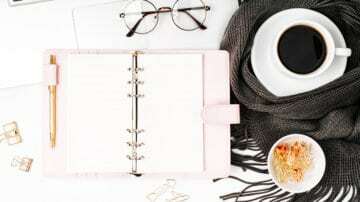 For example, if your Live was repurposed from a post about how to find the best bullet journal, you can create a new blog post on how bullet journalling saves you time. 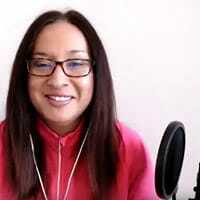 Now, as a mom blogger, you don’t need a YouTube channel, but it does make video marketing easy. I suggest during this time to start a YouTube channel so you can repurpose your Facebook Lives. This is what I generally do for my YouTube channel. So, during your third trimester, you can create a Live, upload it to YouTube, summarize the blog post and create a pin. Then you can schedule your blog post for when your baby is born. This gives you several weeks worth of new content for your blog. An easy way to make sure you have fresh new content on your blog while you’re away taking care of your newborn is to open up your blog for guest bloggers. Now, why would someone want to guest post on your blog? This is where you have to incentivize a blogger for creating content for you. You can offer this to them in exchange for a blog post. And make sure to give them a deadline for content as you want their blog post already submitted, formatted and have a pin before you give birth. A great way to grow your email list is to have a new freebie. But, not just any freebie. A free course freebie. This is perfect for when you won’t be working on your blog for a while because a free course is automated. You can set up a series of emails to send out over a week or ten days while you cuddle with your newborn all day long! From there, you can set up a welcome email series, and when a subscriber is done with the free course you can put them in your welcome email series which may run another 5 or 8 days! And then, of course, you wrote emails in your third trimester, so after the welcome series, there comes your pre-written emails! Your email list is getting nurtured while you are nurturing your newborn! How great is that mama? Okay. So the thought is awesome but how do you set that up? Convertkit has great automations that I use! They make it easy to set up automations and sequences so that you can put a subscriber through several automations. For your free course idea, you want to walk your reader through solving an immediate problem. These are just off the cuff, but these free courses solve a problem in this niche – losing the weight, having a healthy baby or getting meal ideas or education on a new diet. There ya go! As a mom blogger in their third trimester, making sure that blog tactics are automated will ease the stress so that many of you can enjoy your newborn. And all the work you put up front by setting up these automations, creating new content and video will help grow your traffic, list, and income! Let me know in the comments your best time saving hacks for having a blog while getting ready for baby! Glad you liked it Hildah! Yay! This is so helpful! Thank you! I always wonder what I will do when I have another baby. My days are so consumed sometimes it seems impossible to keep blogging with a brand new baby! But these tips will surely help. Thank you so much! I have blogger friends in their third trimester so I figured I could help with some tips that I thought I would do if I were pregnant 🙂 Glad this is helpful for your pregnancy and blog! Thank You, for such useful information tips. You’re welcome! Glad you found some blogging tasks to get done before baby arrives! Thank you for the great tips. I just started my blog and I am due in 3 months. Hoping to see things take off by then. I really have a lot to figure out in the world of Pinterest! Congrats on your new addition to the family! How exciting! 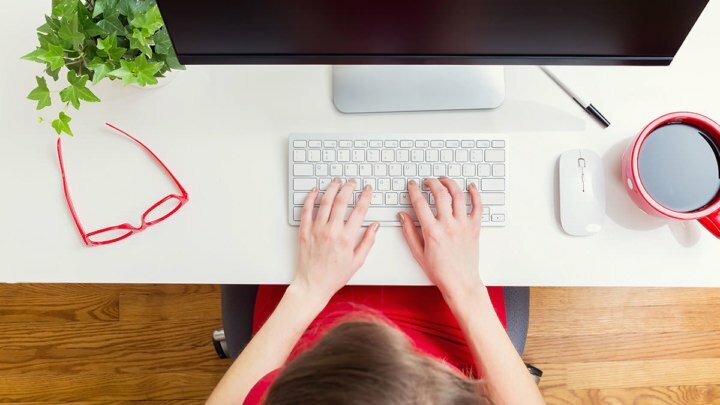 Glad you enjoyed this post on how to get those blogging tasks when you’re a work at home mom! Soaking up every bit of this post! Love the idea of repurposing FB lives. Thank you! Thanks mama! And congrats on your pregnancy! How exciting 🙂 Good luck on repurposing your FB lives on YouTube! It’s what I do and I am getting YouTube referrals now!